Raising a child in America is more expensive today than it has ever been — more than $245,000, not including college tuition, according to the USDA — and supporting a family often requires two incomes. Even when it is not necessarily required of them, many women wish to use their educations to pursue lucrative, fulfilling careers. It should not be surprising that the majority of parents work outside the home, including the majority of mothers. Among married women, 57% with a child under the age of three worked at least part time in 2014, and nearly 74% of those women worked full time. But when it comes to daycare — something that instinctively worries many parents — few are willing to take a hard look. 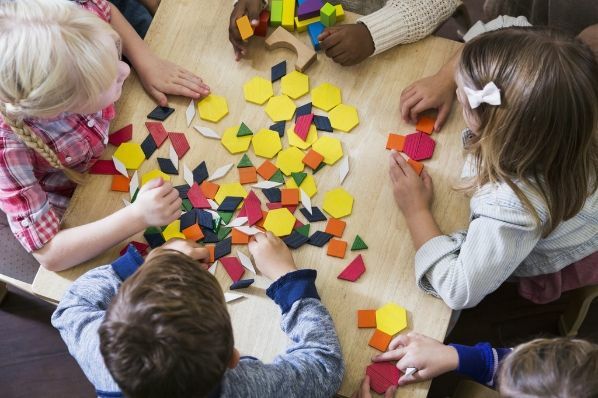 The media, which seemingly report constantly on alarming new risks to children, rarely present the public with information from studies on the impact of daycare, especially when the findings suggest that daycare is associated with significant negative outcomes. This bias and lack of information does a serious disservice to parents, who need to know about the best research in order to make fully informed choices for their families — even, and especially, if that research does not validate their biases. Politicians also need to know what the full range of research shows, especially as they consider policy reforms that could lead many families to change their decisions about how their children are cared for. President Barack Obama and presidential candidate Hillary Clinton have both called for increasing government's financial support of paid child care, but it is not at all clear that increased use of child care would produce better results for children. The narrative accepted by the vast majority of current researchers has solidified in just the past decade or so. Earlier studies of daycare, even in the early 2000s, raised serious concerns about the greater risk of "externalizing" behavior — such as neediness, disobedience, and bullying — from children's early and prolonged exposure to commercial daycare. Researchers now tend to emphasize how negative outcomes fade over time and are balanced out by cognitive gains for daycare children compared to those cared for at home. This finding — that babies and young children essentially enjoy no benefit from being cared for full time by mothers — was reported by the press as good news. The Washington Post write-up of the study quoted Greg Duncan, then-president of the Society for Research in Child Development, explaining the new study's importance: "[It] is 'every bit as important as you might think,' because it suggests mothers can decide, without guilt, 'whether they want to stay home with their children.'" Both Belsky's 2002 study and his more recent report on daycare's lingering consequences contradict popular assumptions about daycare's neutral or fading effects — and have been largely ignored. In fact, many of the most interesting, persuasive, and methodologically sound studies get very little attention. The problem is due in part to the methodological challenges presented by the subject matter. It is difficult to get reliable data about the effects of child care: Researchers will never be able to perform controlled experiments because parents will never agree to randomly assign their children to home care or institutional daycare. Therefore, most American psychologists use data provided by the Study of Early Child Care and Youth Development (SECCYD), which is funded by the National Institute of Child Health and Human Development. The SECCYD is a prospective, longitudinal study that includes detailed assessments of child care — including the amount and timing, quality, and types of care settings — for more than 1,300 children who have been studied from birth through their teens. S. Stanley Young, former director of bioinformatics at the National Institute of Statistical Sciences has estimated that for observational studies in the medical field, "over 90 percent of the claims fail to replicate" — that is they cannot be replicated later by more exacting experiments. The 2010 study on first-year maternal employment and child development, discussed earlier, which concluded that early maternal employment had a neutral effect on children, cited 250 articles. It is remarkable — and suggestive of a disturbing selectivity by the researchers — that this article on Quebec daycare published in 2008, and disseminated as a National Bureau of Economic Research paper in 2005, was not among the 250. 80% of young mothers ages 18-29 — women who grew up when mothers worked outside the home and nonparental child care became more commonplace — say that they themselves would prefer to stay at home to care for their young children rather than work full-time. An increase in the dependent tax credit would also support stay-at-home mothers — a group that has grown from 23% of all mothers in 1999 to 29% of mothers in 2012. Since two-parent, single-earner families make substantially less income than two-earner families, and since these families are making financial sacrifices to make possible what they think and what the public thinks is the best child care for young children, why should they not benefit from any increased subsidies for families with children? Parents care about their children's well-being and must balance the benefits associated with more income against the benefits of staying home to take care of them. But good decision-making on the part of both families and policymakers depends on clear-eyed, honest assessments of the best scientific research — no matter how difficult the conclusions may be. Researchers must be honest with themselves and with their readers about what their data really show, especially when the results contradict popular opinion. The well-being of future generations is too important to continue making individual decisions and public policies with skewed information. The media have an important role to play in this, and shouldn't shy away from presenting reliable research, even if the findings make them and their readers uncomfortable. Ignoring studies like those we've highlighted here is a disservice to policymakers, the public, parents, and — most importantly — the children themselves. The public deserves to have a robust debate about the best ways to help parents and create an environment for children to thrive.